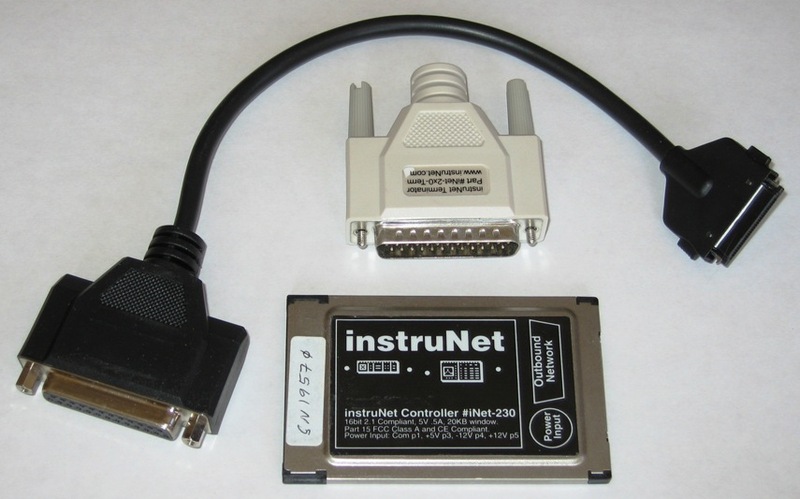 The Model 230 instruNet Controller PC-Card (16bit PCMCIA) is used to connect a Windows Laptop computer to an instruNet network. An instruNet network consists of instruNet Devices which are daisy-chained together. 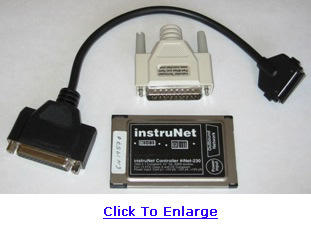 In instruNet lingo, an "instruNet Device" is either an i100 box box or i4xx Card Cage. The i230 has the same capabilities as the i200 PCI controller; except it requires an external power supply (e.g. iNet-312.8), it does not provide 10 counter/timer channels, and it is not compatible with Windows NT.